Most tourists going to the Philippines skip Manila and go to the provinces right away. Be it in the mountains of Northern Philippines, or the beautiful beaches of Visayas. But in Manila, you can find many historical sites. Other than the gigantic malls typical to Asian Megacities, staying in Manila for a few days will allow you to have a historical experience. A must-visit historical site if you are in Manila is Intramuros. Intramuros is a walled city in Manila during the Spanish regime. The Spaniards built walls around the capital city, Manila, during that time-to protect against invaders. It was built in 1590 until 1872. 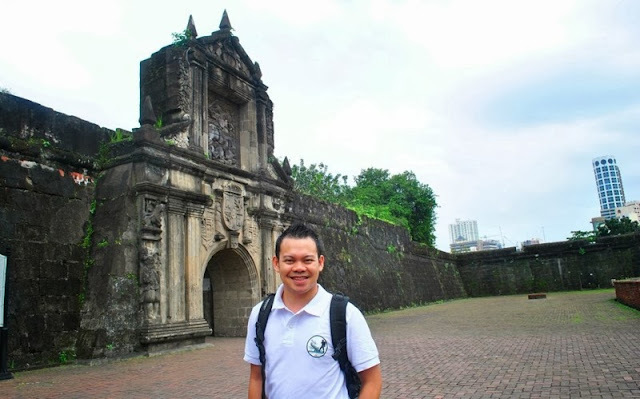 Last January, we were able to do a walking tour in Intramuros. It was amazing as I finally saw and experience what we were learning in Social Studies during my elementary years. During our stint in Manila, we stayed in a backpackers guest house in Malate called Friendly's Guesthouse. 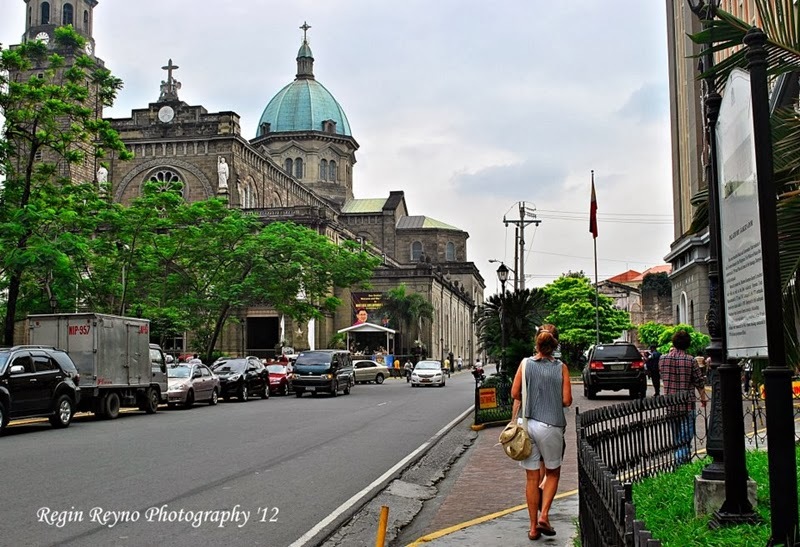 It is located near Intramuros. I recommend that place if you want to go to Intramuros. From our guesthouse we took a taxi going to Fort Santiago, a citadel located inside intramuros. The fare was Php 70. After paying Php 75 for our entrance fee, we started to explore Fort Santiago and enjoyed a historical tour. From Fort Santiago we proceeded to Casa Manila and the beautiful churches Manila Cathedral and San Agustin Church. All were done by foot. It was indeed a wonderful experience having to see those durable walls built by the Spaniards and to actually feel and experience the places where many historical events happened. So if you're in Manila, don't skip it and don't forget to visit Intramuros for a meaningful historical experience. What are the historical places in your city? "Walking Tour" hosted by Glenn Martinez of Traveler on Foot. 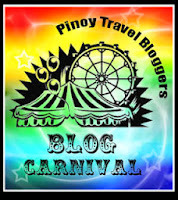 For previous Pinoy Travel Bloggers' Blog Carnival topics, click the logo below. Oi Cris try mo make sure lang di ka pa mataba ha! Hi Cris. You have to try it. Wag ka lang paloko sa presyo. It'll be a nice experience. I will definitely explore Manila and Intramuros soon! Sayang naay bagyo last time. Indeed. What a wonderful experience. That's so sad. I hope sec. Jimenez and the DOT will act on it soon. I wish to go manila. Manila among the best tourist destination in world. Hello sir, I got you by Google search. It’s always good to learn tips like your posting about on reginstravels.com.It is very helpful in using social media sites. I just started posting comments for blog and facing problem of lots of rejections. I think your suggestion would be helpful for me. I will let you know if its work for me too. Thanks and keep posting such an informative blogs. You may know me by it The offshore is a must do for many Cairns guests, and though you can be a aspect of the viewers of many others and take a guest vessel out for a day of snorkeling jump snorkeling jump snorkeling jump snorkeling jump snorkeling jump snorkeling jump snorkeling jump snorkeling jump snorkeling jump snorkeling diving, you can also get involved in some actual SCUBA snorkeling jump snorkeling jump snorkeling jump snorkeling jump snorkeling jump snorkeling diving. Choices broad variety from personal day for Great Barrier Reef Tour to several day live-aboard trips such as start water and evening goes. Thank You Very Much For a Nice & Cool Article. It looks pretty decent and at the same time it has all the way out which is there and keeps everything in a good manner with traveling and it works fort lauderdale shuttle bus is the thing which helps big time.